St. George's Independent School was named the overall Best of Preps winner for the Small Pivate School Division at the annual Commercial Appeal Best of Preps Ceremony on Friday, June 10, 2016. SGIS finalists for each sport are indicated in each season's recap below. Sarah Thompson '17, was named to the USA Swimming 2015-2016 Scholastic All America Team. Chase Hayden, '17 was named 2015 Tennessee Titans Div II-A Mr. Football Back of the Year. Jacob Still '16, was a finalist in the LIneman catagory. St. George's Independent School was named the overall Best of Preps winner for the Small Pivate School Division at the annual Commercial Appeal Best of Preps Ceremony on Friday, June 5, 2015. Madeline East '15, Karina Jensen '16, and Sydney Spadafora '16 were named to the All-State Soccer Team. Madeline East was also named to the Senior All-Star Team West. Congratulations on these much deserved honors! Sope Adeleye '16 was named to the American Volleyball Coaches Association Phenom list for 2014. Congratulations Sope! St. George's Independent School was named the overall Best of Preps winner for the Small Pivate School Division at the annual Commercial Appeal Best of Preps Ceremony on Friday, June 6, 2014. Three members of the Gryphon soccer team recieved All-State honors from the Tennessee High School Soccer Coaches Association. They are Dean Brown '14, Tyler Lourens '14, and Carson Schelp '16. Congratulations on this much deserved honor! Gryphon Water Polo had three members named to the All-State team. They are Wil Barton '14, William McBride '16, John Barton '17. Catherine Mann '15, Molly McEwan '15, and Avery Whitehead '17 were named to the TGLA All-State Team, and Abbigayle Roberts '17 was named to the All-State 2nd team. Catherine and Molly were also named All-American Honorable Mention. Rob Snowberger was named The Commercial Appeal's Best of Preps Coach of the Year for Girls Swimming. Jeff Ruffin was named The Commercial Appeal's Best of Preps Coach of the Year for Boys Golf. Coach Tony Whicker, has been selected by the National Federation of State High School Coaches Association as the recipient of the 2013 Coach of the Year Award at the state level for Boys Soccer. Congratulations, Coach Whicker! 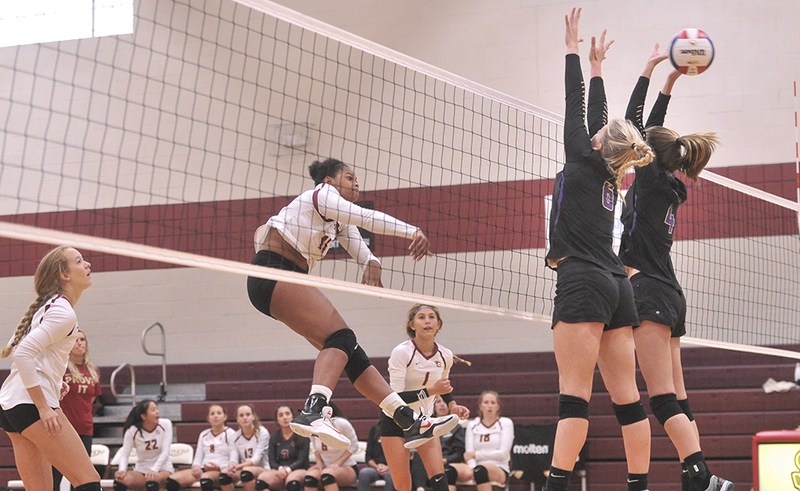 Roxanna Wood '15, outside hitter, and Sope Adeleye ’16, middle hitter, were placed on the American Volleyball Coaches Association Phenom List for the 2013 season. They are among several hundred underclassmen representing the United States to receive this honor. This Phenom List serves as the starting point for the Phenom College Preparatory Program, which is an invitation-only program where athletes will participate in various events to showcase their skills in front of 100+ college coaches in attendance. The Commercial Appeal held its annual awards ceremony on Friday, June 8th. In girls lacrosse, Rachael Smith '13 was named Girls Lacrosse First Team All- American and All State for Tennessee! Rachael, Molly McEwan '15 and Catherine Mann '15, were also selected as TGLA All Stars. Molly and Catherine were also selected to play in the US Lacrosse Women's National Tournament, representing St. George's on Team Tennessee. Nicholas Sims '13 and Gregory Hurley '13 were selected to play in the Tennessee Athletic Coaches Association Soccer All-Star Game. Both also made the TACA Div. II-A All-State Team, along with Dean Brown '14 and Henry Cowan '13. Nicholas Sims '13, Henry Cowan '13, and Dean Brown '14 were among only eight young men from West Tennessee to be named to The Tennessee Sport's Writers Association All-State Div. II Soccer Team. The team consisted of 22 young men from across the state of Teennessee from all of the Division II schools. Tony Whicker was named the Private/Parochial Schools Coach of the Year by the National Soccer Coaches Association of America. Matt Thomson '13 and Wil McMillian '13 were selected for the Shelby County Private School All Star Team. Matt Thomson '13 was the recipient of the 2012 Memphis Fellowship of Christian Athletes John "Bull" Bramlett Award during the FCA/AutoZone Liberty Bowl Prayer breakfast held on December 28, 2012. This award is given annually by the Memphis area FCA to the high school football player in the Shelby County area who best exemplifies excellence on the field, as well as high character, integrity and godliness off the field. Matt excelled as a wide receiver, defensive back and return specialist for St. George's. On offense, he accounted for 13 TD's and caught 68 passes, and on defense had 58 tackles and 3 interceptions this year. A senior team captain and honor student, Matt is a leader of the school Peer Leadership Council and also volunteers in several school service organizations, most notably being the founder of the Memphis Union Mission Club at St. George's. This club assists the shelter for homeless men by organizing cookouts, a Christmas party, and other activities. He helped organize transportation for this group of men to attend Gryphon home football games, and they soon became our loudest and most supportive fans. Matt is a member of Germantown Presbyterian Church. Coach Brent Hill said of Matt, "Matt is the true definition of character and leadership. He has been an integral part of the program's success over the last four years." Roxanna Wood '15 was placed on the American Volleyball Coaches Association inaugural Phenom List for the 2012-13 season. Roxanna was among the 363 underclassmen representing 39 states to receive this honor. This Phenom List serves as the starting point for the Phenom College Preparatory Program, which is an invitation-only program where athletes will participate in various events to showcase their skills in front of 100+ college coaches in attendance. Additionally, PrepVolleyball.com just released their 2011 Frosh 59 - a list of the 59 most outstanding varsity-playing freshman for the 2011 fall season. Roxanna is among those distinguished 59. Beginning this year, the Athletic Department is recognizing the varsity team and the varsity individual female/male with the highest grade point average per season. A plaque to honor these teams and individuals is being created and will hang in the lobby of the Stokes Fieldhouse. This year's results are below with the honorees listed in bold. 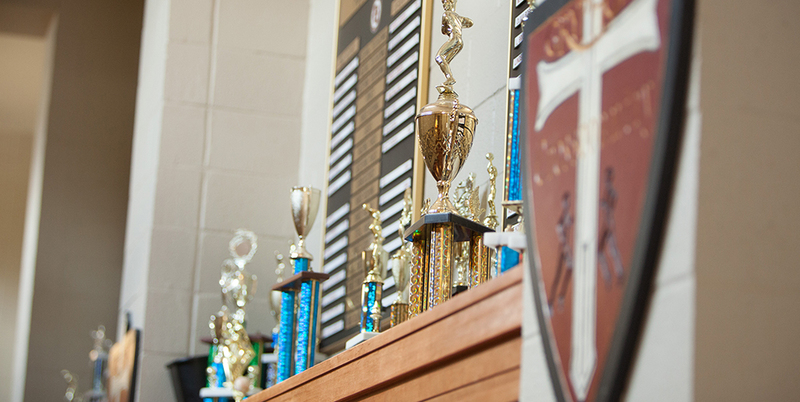 St. George's was named Overall Best of Preps for Small Division Private Schools. Rachael Smith '13 has been selected by US Lacrosse as a 2012 Girls' High School First Team All-American Honoree. Rachael was the only First Team Member selected from Tennesse out of only seven girls from across the state. Congratulations, Rachael!! Christie Zettler '12 has been selected by US Lacrosse as a 2012 Girls' High School All-Academic Team Honoree. Congratulations, Christie!! 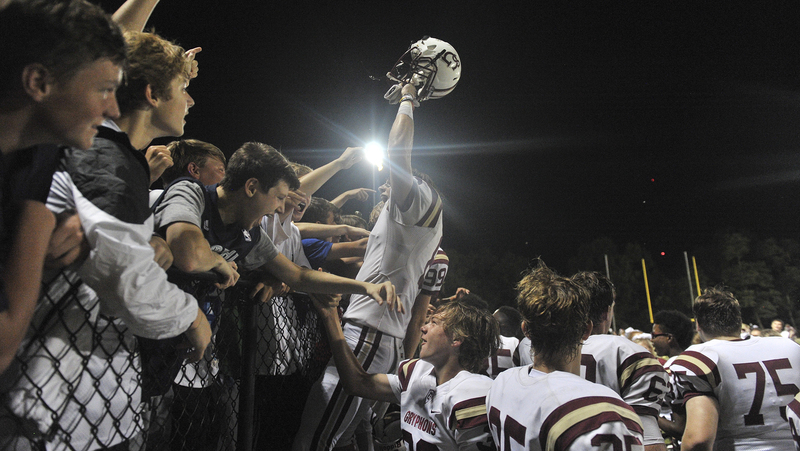 The Commercial Appeal published their final rankings for the Dandy Dozen in Football, Girls Soccer and Volleyball and St. George's finished in the top 10 in all three catagories. Amy Mirro '12 and Tori Fitzgerald '12 have been selected as members of the Tennessee High School Soccer Coaches Association All-State Team for 2011 and also been named as East/West All-Stars. The Tennessee Sports Writer's Association announced the All-State Volleybal teams, and Gryphon Setter, Amy Matula '12 was one of only three local girls named to the 2011 Division II All-State Volleyball Team. St. George's Gryphon Coach, Emmy Mcclain was named as the Division II Coach of the Year. Amy Mirro '12 and Tori Fitzgerald '12 have been selected as members of the Tennessee High School Soccer Coaches Association All-State Team for 2011. Ian Michalak '11 was named to the Tennessee High School Soccer Caoches Association Div. II-A and the Tennessee Sports Writers Association Div. II All-State soccer teams. This is Ian's second year to be named to the THSSCA All-State Team. In June 2011 he participated in the All-Star game as a member of the West team. Cole Evans '11 was named to the Tennessee Sports Writers Association Div. II All-State baseball team. Hannah Everett '11 and Katie O'Bar '11 have been selected to the West A-AA TACA Volleyball All Star Team. They have been invited to play in the 2011 Tennessee Volleyball All State Match on June 18, 2011 at Centennial High School in Franlin, TN. St. George's Coach, Kellile Hanlon has also been selected to coach this team. Amy Mirro '12 and Tori Fitzgerald '12 have been selected as members of the Tennessee High School Soccer Coaches Association All-State Team for 2010. 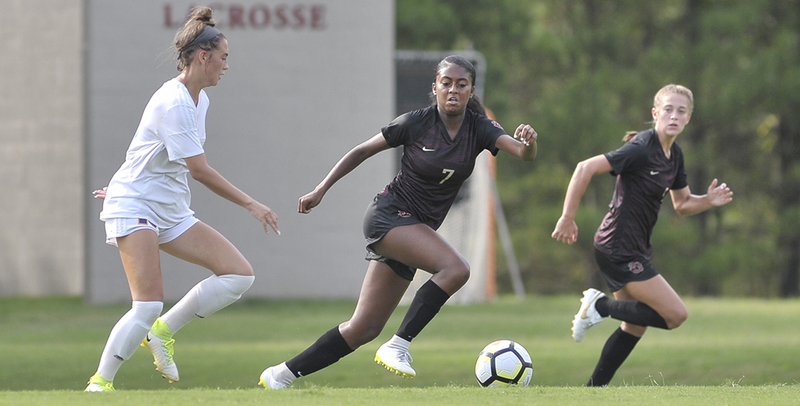 Lindsey Anne Grisham '11, has been selected as a member of the National Soccer Coaches Association of America Scholar All-Region Team for 2010. Middle Hitter, Hannah Everett '11 and Setter, Amy Matula '12 were were among nine local girls named to the 2010 All-State Team. Hannah Everett '11 has been named to the American Volleyball Coaches Association 2010-11 Under Armour Honorable Mention All-American Team. There were 100 players selected for this year's All-American Teams from hundreds of candidates. These girls represent 31 states and 87 high schools. Michael Sheppard '10 has had many major athletic honors this season. He was selected as a member of the Under 18, National Youth Swim Team, where only 2 swimmers are selected per event nationally. He was selected based on his performance this past summer at the National Championships and his workd ranking. In addition to his state title in the 100 back, Michael also placed 2nd at state in the 200 free, with a time that is the 3rd fastest in the nation this year. Most impressively, Michael has also been a 4 time NISCA All American. The Gryphon Wrestlers won the 2010 TSSAA State Invitational WrestlingTournament. Also, Kevin McDonald and Blake Boraten each placed 5th in their individual weight classes during the state competition. Lindsay Anne Grisham '11, Amy Mirro '12, and Mary Patterson '11 have been named to the Tennessee High School Soccer Coaches Association All State Team. Amy Mirro '12 and Mary Patterson '11 have been named to the Tennessee Sports Writers Association All-State Team. Bobby Parks, Jr. was named Division II-A "Mr. Basketball"
The Gryphons finished 9th in the state at the Tennessee State High School Swimming Championships, and the boys team finished 8th. Rob Snowburger was named Coach of the Year. USA Swimming named Mia Michalak and Chris Clark to Scholastic All American Teasm. this is Miaa's third year straight to be named to this team and Chris' first. NISCA named Zach Woods, our Gryphon Diver, to its All American List. Zach was one of only 29 sophomores in the United states to make the list, and was near the top of ALL applicants! SGIS Mr. Football Award winners: Ben Popeck (D2-A Lineman of the Year) and Grant Jessen (D2-A Back of the Year). Hunter Cowan was a Mr. Football Finalist. Elliot Williams was named Division II-A "Mr. Basketball" and Laurence Bowers was also a Mr. Basketball Finalist. Elliot Williams named as a McDonald's All American and to Parade Magazine's All American Team. USA Swimming named Mia Michalak as a Scholastic All American (also received this honor in '07). NISCA named Michael Sheppard as an All America Swimmer for his 100 yard Backstroke (also won 2006/2007) and for 200 Freestyle. Tennessee Girls Lacrosse Association name Adeline Brown an Honorable Mention All American, as well as Academic All American. Taylor Pearson '07 was selected to the National Football Foundation and College Hall of Fame. The Gryphon Varsity Boys' Basketball team was crowned TSSAA Division II Small School Invitation Champions.